Today: What you can (and should) do in advance of your dinner party. In a perfect world, you'd never scramble the day of a dinner party. Dressed and calm, you'd welcome guests with appetizers and a cocktail. The food would be heating up and music would be playing. You'd certainly not be standing in a towel in your bedroom with wet hair, trying to remember where you put the wine. Though some brave souls like auditioning new recipes for company, I suggest doing a run-through of your meal ahead of time. A dinner party isn’t the best time to try a recipe you’ve never made (unless you really like an element of surprise). If you’re inspired and excited to try something new, make it at least once first, or better yet, choose a tried-and-true menu that you’re comfortable with. The simplest way to prepare for a party is to choose dishes you can make in advance. Breads and baked goods can be made at least a day before, or weeks in advance and frozen. I like making foods that improve over time: Braises, roasts, kale salads, and some pastas all fall into this category. 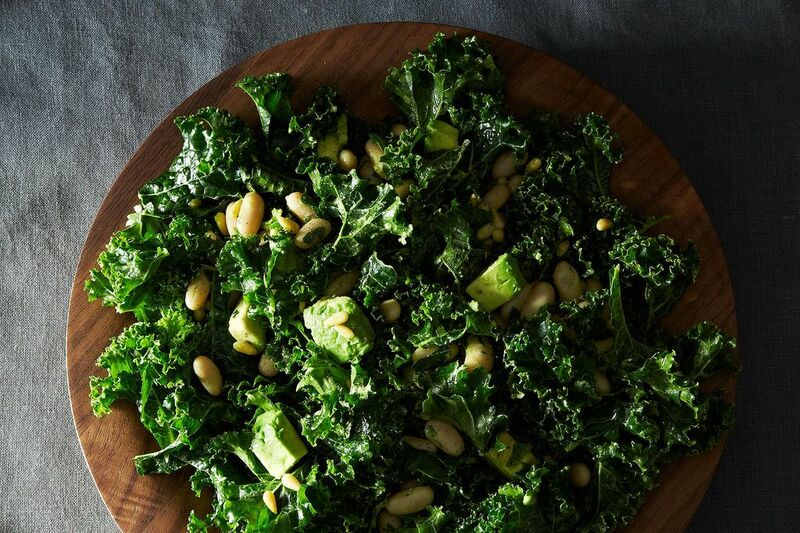 Some perfect make-ahead menus: braised chicken thighs, kale salad, and coconut cream pie, or sweet and savory overnight pork, roasted vegetable and barley salad, and olive oil cake. More: Get Alice Medrich's tips on freezing baked goods. If you have dishes that won't rest well (like a rack of lamb or risotto), don’t assume you can’t prepare ahead of time. Do any mise en place—chopping vegetables or measuring out ingredients—the day before or the morning of to save time during cooking. It’s easy to focus on the food and forget about the flow of drinks. If you have a self-serve bar or you’re passing around wine, pay attention to quantity and plan ahead so you have all needs covered: Get ice, make sure you know where your corkscrew and shaker are, remind guests who are bringing drinks to actually bring them. Then, duing the party, you just have to restock. These seem like small details but are worth planning out in advance so everyone is happy, with a drink in hand all evening. And during the party, if you’re filling glasses as the host, make sure you don’t forget to keep doing so during dinner. Cutting and arranging flowers always takes longer than I think it will. Fortunately, fresh flowers will last, so buy them and put them out the day before. The same goes for any other decorations: Place cards, candles, and lights can be organized a day in advance. It’s easy to do in advance and will save you time, plus it will help you remember if you’re missing anything like knives or napkins. More: Feeling fancy? Make your own marbled place cards. Avoid rooting around in your cabinets for serving spoons or platters at the last minute. Organize in advance: Go through each dish and locate what you’ll serve it in and what utensils you’ll need. If you’re planning to serve cocktails, make them ahead of time. Drinks are often left to the last minute, and it’s nice to welcome people with a cocktail so that you can focus on finishing up with the food. 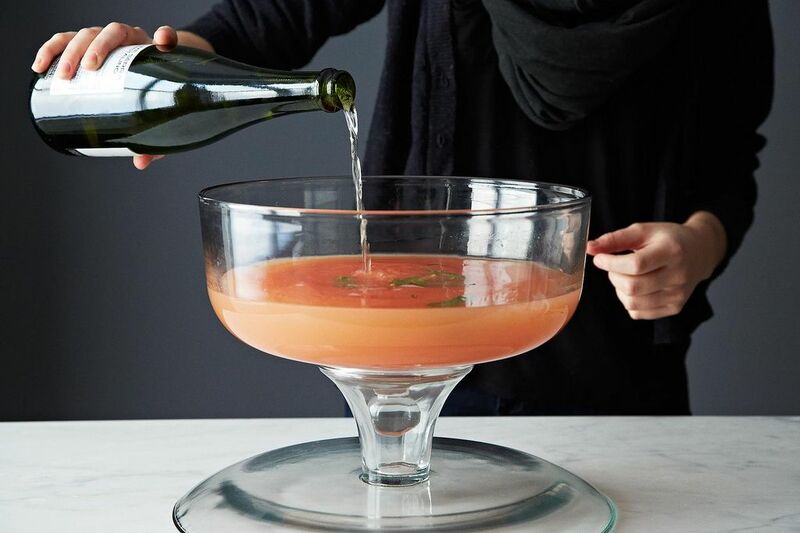 Punch and spirit-only cocktails are good candidates, so brush up on how to do it. In the flurry of cooking and preparation, I always leave getting dressed to the last minute. Prepare for early guests by getting ready at least an hour before a party is scheduled to begin. I’ve found myself frantically applying mascara in the bathroom with guests in my living room more than once, and it starts the evening on a stressed and frenzied note. When guests arrive, you'll be ready to participate in the party, instead of rushing around the kitchen looking for enough silverware. That, we think, is the ultimate party. Tell us, how do you plan ahead for a party? Music! Create a playlist, select a Pandora station, stack up the LP's, etc. and actually turn the music on. Too often I've fiddled with this at the last minute and ran into technical difficulties. Music sets, or at least enhances, the mood. It's really neither necessary nor healthy for you to push the alcohol.. Each guest should be greeted warmly- this doesn't necessarily mean they should have a drink in hand.. These are all excellent, common sense suggestions that every good host/ess should abide by. However, although I set my candlesticks out in advance, I leave my candles in the freezer until just before my guests arrive, which greatly reduces wax dripping during dinner. When I make my menu, I make a list all the serving dishes -- and utensils -- for each course so I'm not scrambling to find something that fits at the last minute. Then I'll write the name of the dish on a slip of paper and put it in each serving dish so I don't have to remember what goes where later. And if I have to prepare dinner just before serving, I make a timeline starting with what time I want to serve it and work backwards, making sure I know when to get started. Prepping, dicing, pre-browning ingredients and setting the table in the morning goes without saying...I do as much as I can ahead of time. Then, I pour a glass of wine, crank up the party music and get ready an hour before guests arrive! Two days before - or on the weekend before, if it's not an impromptu weeknight party - I check/polish candlesticks, silver flatware and serving pieces, get out all serving dishes, salad bowls, etc., and pair serving utensils with serving dishes; post-its name each dish. At the same time, I select the dinner napkins, candles, vases for flowers, etc. I stack the dishes we'll be using on a tray, along with all flatware, and put glasses on two other trays - one for pre-dinner and the other for the table. On one tray, I put a clean towel for the powder room, lest that be forgotten. The next morning, I make my short lists. I like index cards for these. I organize all the small tasks that need to be done, putting like activities together, including food prep tasks. I create separate cards for delegated tasks. Mr T has his own card (usually front and back, which we go over together before I give him the card); I also make a card with tasks for early-arriving guests, and a special card for any children who are coming. So many kids love to help!